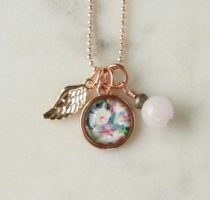 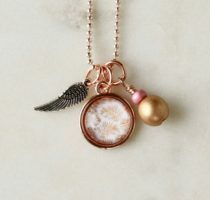 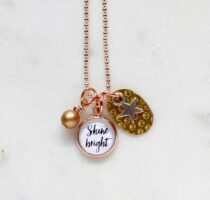 Home>Mini clusters>Rose Gold & Mixed Metal pendants>Astrid pendant with teal bead and rose chain. 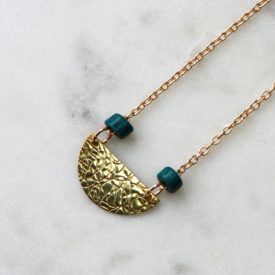 Astrid pendant with teal bead and rose chain. 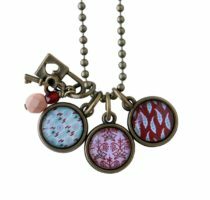 These unique pieces are made using gold plate settings with beads. Style: Astrid pendant with teal bead and rose chain.